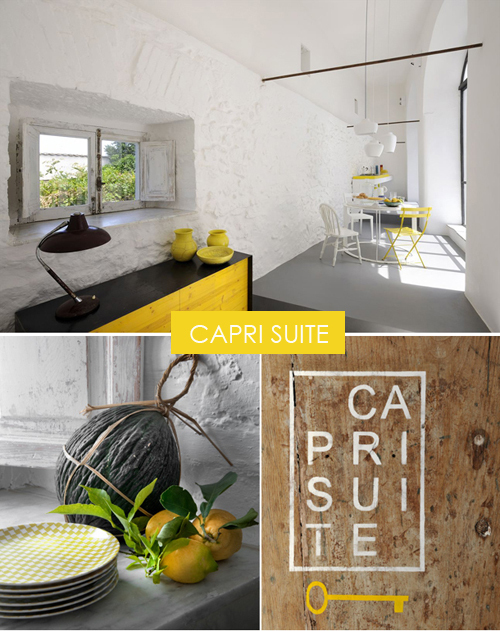 Capri Suite is contemporary two room hotel located in the ancient village of Anacapri, on the Italian island of Capri. The hotel is designed by Italian architectural firm Zetastudio. 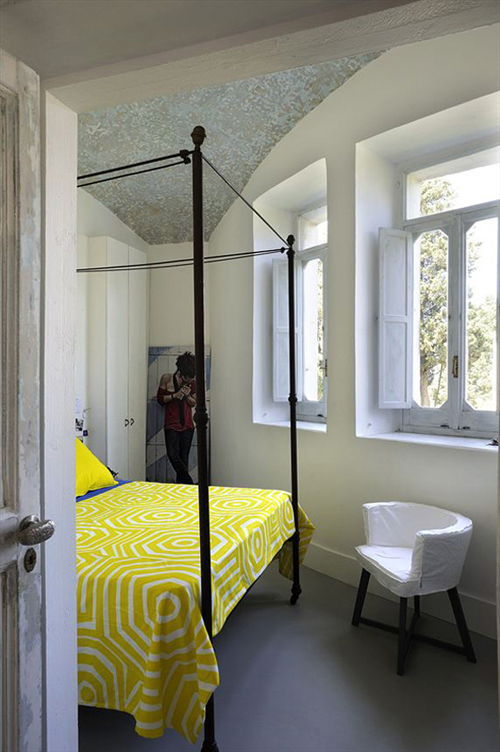 I love the bright yellow bed linnen from Livio de Simone which is used on the 19th century bed (image below). You can see more of this stunning boutique hotel on The Travel Files. I love the feel of these spaces. I especially love the use of an accent color through out. As a lover of all things black and white, this is a great way to mix it up and induce a completely different emotion! Love the rustic feeling the interior space captures. 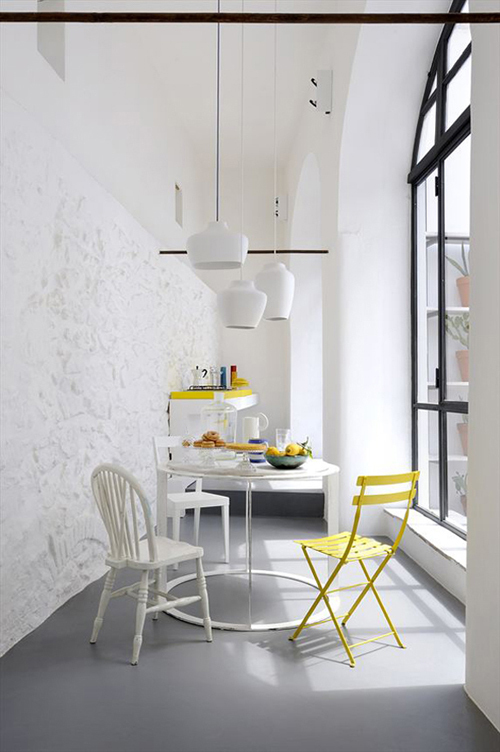 Wonderful color implementation for this space. I love this color scheme. So light and bright. I love the simplicity of the room and how the simple things really look amazing. There is way too much clutter in this world so I feel simplicity is the way to go in design.